Please leave your feedback if you download, you encourage me to share more freebies! 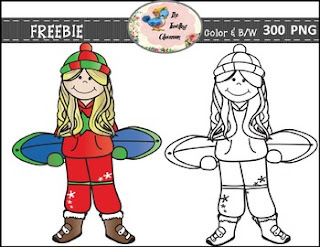 The is a sample of my complete winter kids and sports clip art set. You will definitely have fun with these graphics! Oh the possibilities! Just re-size to make different sizes for any project! Don´t forget to follow my TPT store and/or blog for your free 50 follower freebie! For every 50 followers I give out a new freebie! Please contact me with your comments and I would also love to hear how you use it!